Tidying up and filing I came across the menu from the M&M Enterprises work Christmas party from back in 2010 which I did not blog at the time. So this is the most extreme retro-blog post yet. 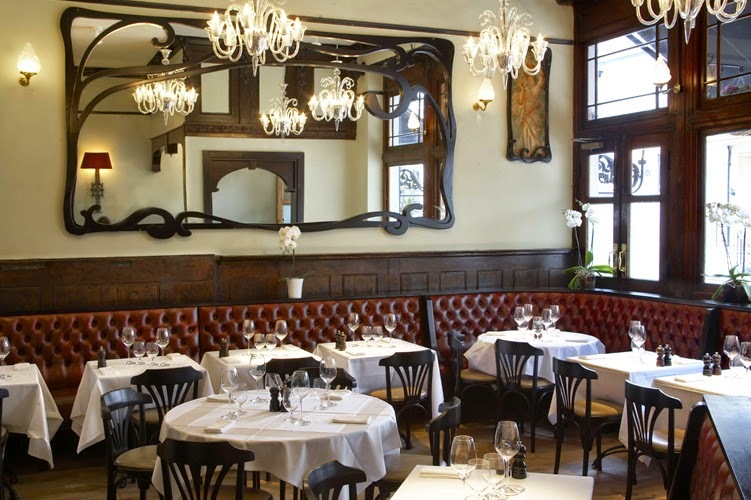 Angelus is a post-La Gavroche venue founded by Thierry Tomasin, the sommelier from La Gavroche. He gave us an introduction to the restaurant and explained the nature of the style and ambience he was aiming for: quality cooking, of course, but with an informal brasserie style and a relaxed convivial atmosphere (I paraphrase from memory). Then his chef appeared and gave us a run down on the menu explaining his approach to the dishes, the sourcing of the ingredients and the rationale for his choices. I cannot remember who explained the wines but they were all interesting choices. The food was wonderful and wine pairings all worked really well. Like all Daff meals it went on until the restaurant ushered us out in time for the evening sittings. Another superb M&M works Christmas party. 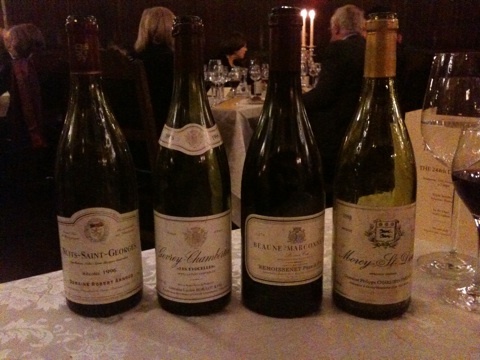 A Burgundian dinner with a couple of German outliers. The deal with the WSDC is that they lay down WS wines then drink them on such occasions as these some years later. So generally "not available in the shops". Lincoln' Inn is an extraordinary place. A hidden oasis in the middle of London it looks like an Oxbridge college dropped into the centre of town. 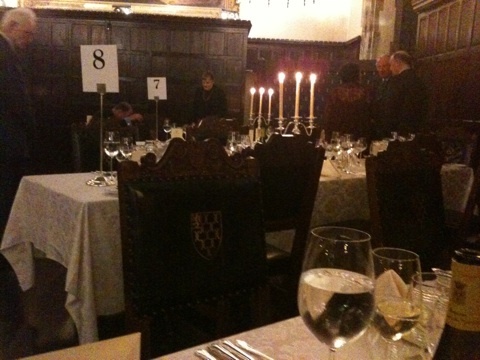 And The Old Hall looks like a college dining room. As we don't know the other members we chat to strangers in the pre-dinner drinks and get pot luck on the seating plan. We were fortunate in being placed opposite Ray Bowden and his wife Gill. Ray was for many years chairman of the wine society and a most charming dinner companion. My favourite wine of the evening was the Beaune Marconnets as it was of the assembled company by a show of hands. Second favourite was the Gevrey-Chamberttin. 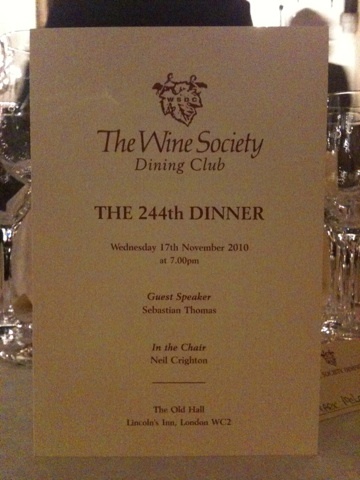 A most enjoyable evening and a reminder of why we should go to more of these events.